Theodore Roethke was born in Saginaw, Michigan, in 1908. As a child, he spent much time in the greenhouse owned by his father and uncle. His impressions of the natural world contained there would later profoundly influence the subjects and imagery of his verse. Roethke attended the University of Michigan and took a few classes at Harvard, but was unhappy in school. His first book, Open House (1941), took ten years to write and was critically acclaimed upon its publication. He went on to publish sparingly but his reputation grew with each new collection, including The Waking which was awarded the Pulitzer Prize in 1954. He admired the writing of such poets as Emerson, Thoreau, Whitman, Blake, and Wordsworth, as well as Yeats and Dylan Thomas. Stylistically his work ranged from witty poems in strict meter and regular stanzas to free verse poems full of mystical and surrealistic imagery. At all times, however, the natural world in all its mystery, beauty, fierceness, and sensuality, is close by, and the poems are possessed of an intense lyricism. 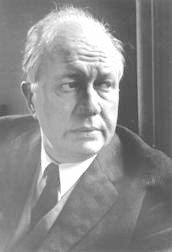 Roethke had close literary friendships with fellow poets W. H. Auden, Louise Bogan, Stanley Kunitz, and William Carlos Williams. He taught at various colleges and universities, including Lafayette, Pennsylvania State, and Bennington, and worked last at the University of Washington, where he was mentor to a generation of Northwest poets that included David Wagoner, Carolyn Kizer, and Richard Hugo. Theodore Roethke died in 1963.